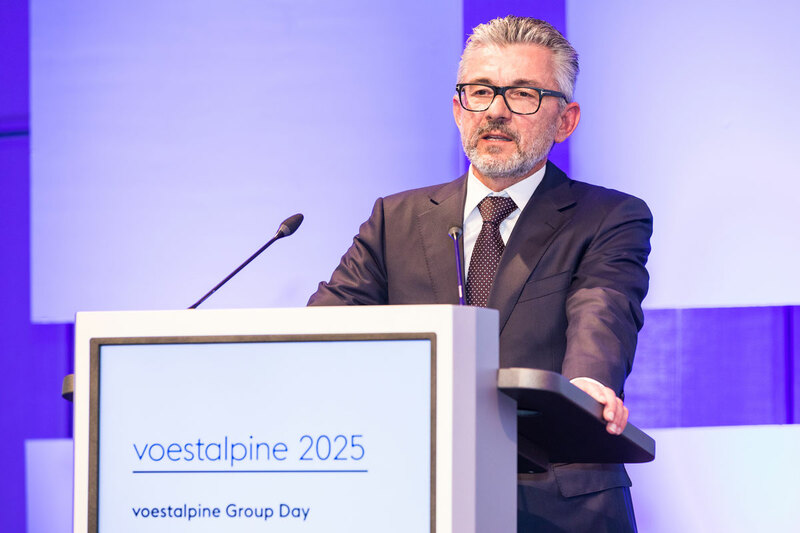 At the end of last week, on April 11 and 12, around 160 voestalpine executives headed to Linz for the Group Day, held under the self-explanatory motto: “voestalpine 2025”. The discussions revolved around the Group’s upcoming future, with inspiring input from guests including German philosopher Richard David Precht. 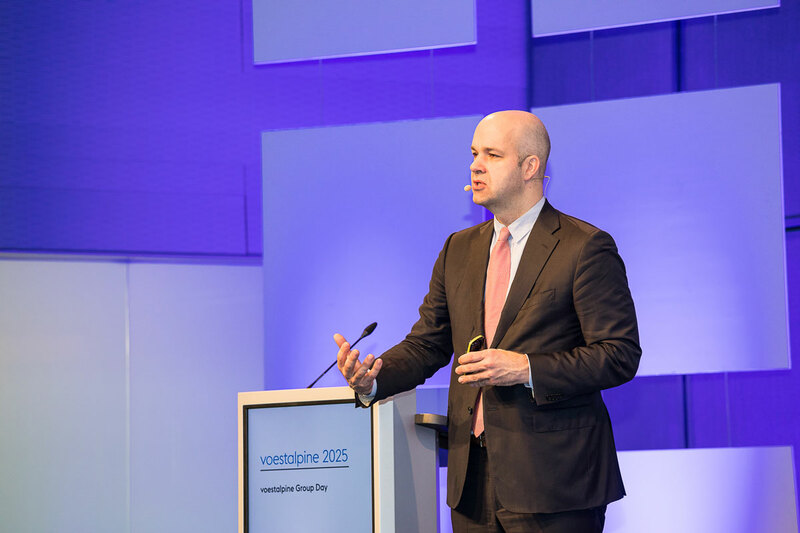 What are the challenges voestalpine is currently facing, and what can the Group expect to be confronted with over the years up to “voestalpine 2025”? 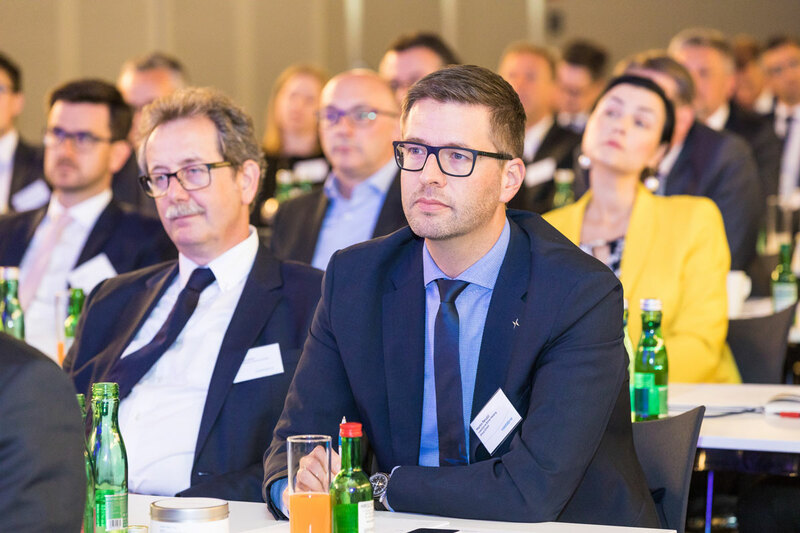 That was one of the key topics of discussion at voestalpine Group Day 2019 at which the Group’s top managers from around the world met in Linz. CEO Wolfgang Eder opened the working program with a report on the state of the voestalpine Group, followed by an overview from the divisions. 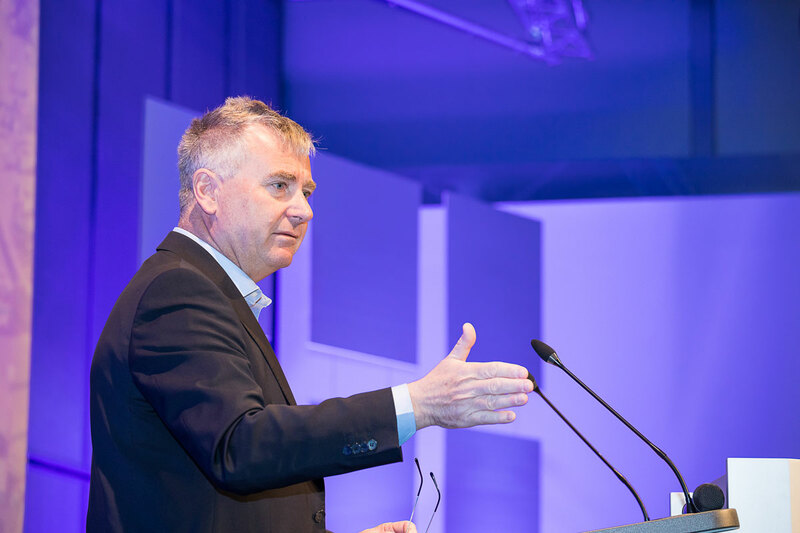 After a short update on digitalization processes within the Group, again provided by CEO Wolfgang Eder, for two hours attendees focused on the strategies for the Group and the individual divisions with respect to 2025. 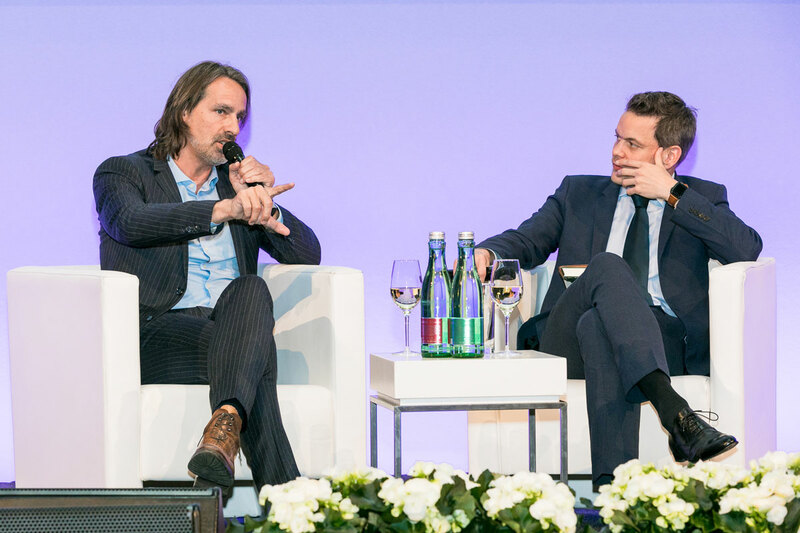 Early in the evening the venue shifted from the voestalpine Stahlwelt to the Design Center in the heart of Linz where the program included dinner preceded by a discussion with Richard David Precht, moderated by ORF TV journalist Martin Thür. The versatile German publicist and philosopher has deservedly earned his popular status in German-speaking countries. Precht understands, like few others, how to captivate his audience, using clear language to take them on an intellectual journey. And also because as a modern polymath, he considers all the major issues we are currently facing. "We’re not even halfway into the digitalization process. We’ve only just done the necessary homework, and converted analogue data into digital data. The revolutionary aspect is not digitalization itself, but that in the future we will be dealing with machines which learn autonomously. It’s machine learning that’s the turning point, not the transfer of data." "The shift to electromobility is a huge opportunity for the German and Austrian economies to become global market leaders in this field." 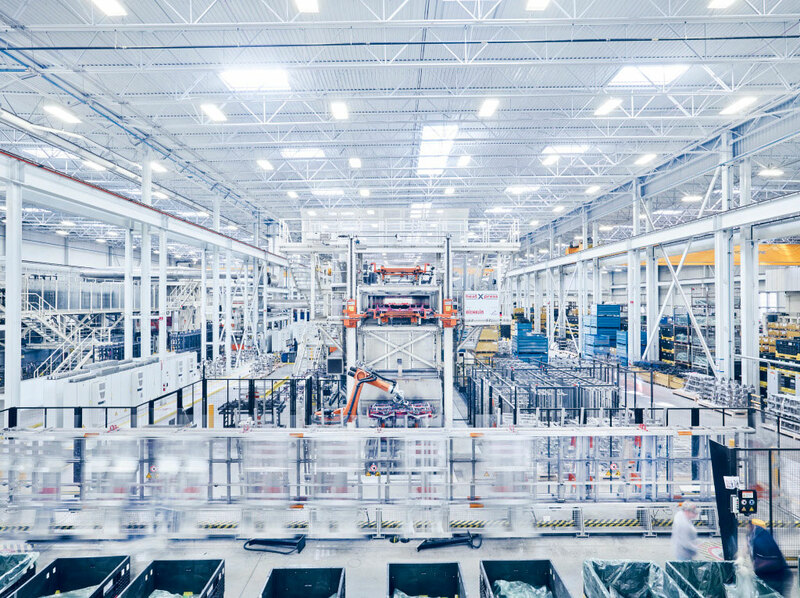 "Irrespective of drive type, and whether autonomous, nonautonomous, partly autonomous, or part of shared mobility, a large part of every vehicle will continue to be manufactured in steel." Following this input, top managers from the divisions outlined the ways and means of achieving the best possible operational excellence by 2025 and offered mutual feedback in the plenary session that followed. 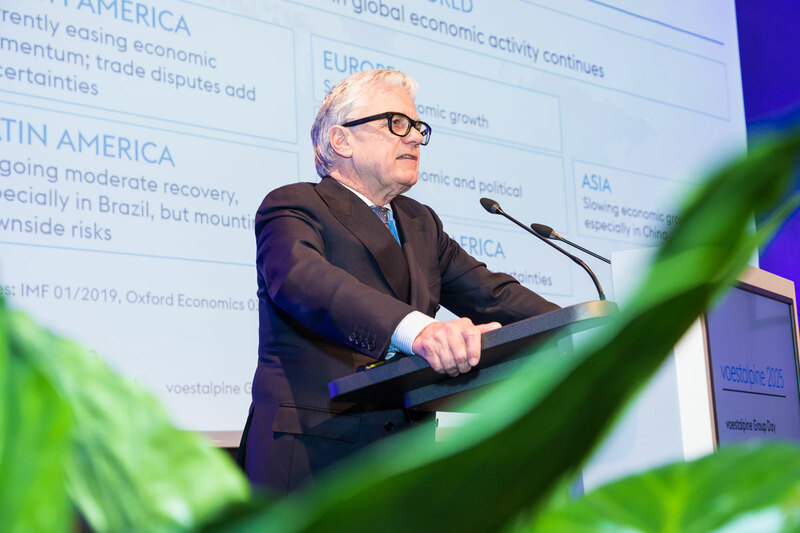 At the end of the two days, Wolfgang Eder and Herbert Eibensteiner summarized the topics which had been discussed and concluded the executive meeting with an optimistic outlook. The ABB FIA Formula E Championship has reached Europe–and what a start! 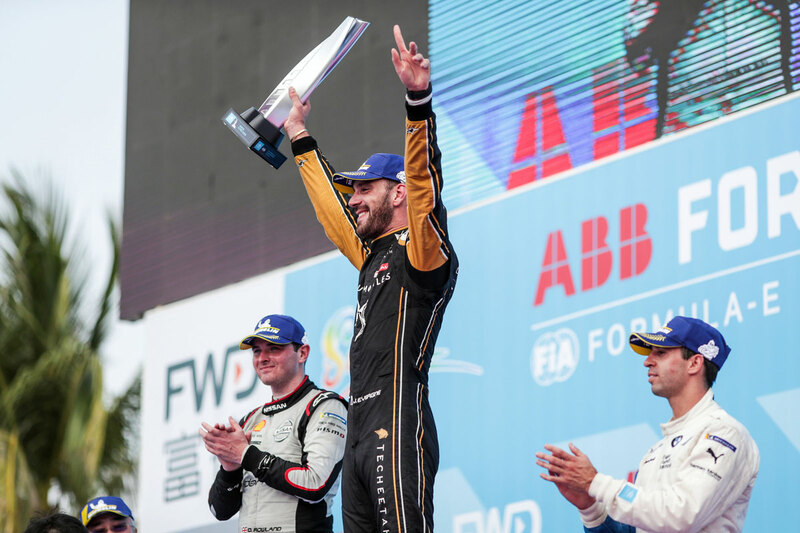 In front of tens of thousands of enthusiastic fans, New Zealander Mitch Evans (Panasonic Jaguar Racing) snatched victory with a magnificent overtaking maneuver against Andre Lotterer (DS TECHEETAH). This makes him the first winner of the first of the voestalpine European Races. Diversity continues to reign in Formula E: The seventh race of the season has brought about the seventh winner, and for seven times in a row a different team has won. It seemed impossible, but it actually happened: after six different teams won the first six races of the season, many thought that, with only eleven teams in the series, it was inevitable that one of these six would be a second-time winner this season at the race in Rome. But yet again the series produced another first-time winner, and in this case the number one enjoyed his first win in Formula E itself! Following the turbulence of a driver swap in the past few days, with Alex Lynn taking over from ex-champion Nelson Piquet Jr. in the cockpit, Panasonic Jaguar Racing was on top form. Evans’ win is the first for Jaguar in a higher category international race since 1991. New Zealander Evans also celebrated his first win in Formula E, which is also the first in his career since winning the GP2 race at the Red Bull Ring in 2016. This time Evans won in front of his famous mentor Mark Webber–ex-Formula One star and WEC World Champion, who has been advancing Mitch’s career since his youth. Like everyone else, Webber was impressed at how his protégée stole the victory by overtaking leader Andre Lotterer in one of the tightest areas of the track. And he was then forced to cope with another shock just before the end of the race when his team ordered him to slow down. “That’s really not what you want to hear in such a situation,” Evans laughs. But rather than it being because of a technical fault or to save energy, the reason was to ensure that he wouldn’t miss the activation zone–which had happened during the previous lap when he narrowly missed the ATTACK MODE activation zone. Evans’ luck was Andre Lotterer’s misfortune. For the second time in three races, Lotterer held the lead right up to the end, but then the German was forced to let the Jaguar pass. Although one of the decade’s best long distance drivers and already a winner of the 24 h Le Mans, Lotterer will still have to wait for his first ABB FIA Formula E Championship triumph. Yet his passivity may pay off in the end: Very much like Robin Frijns, Lotterer is still right up there in the highly contested race for the title, even though he has yet to win an E-Prix. In the rankings for the voestalpine European Races (the battle for the best podium placings in the five European races where top performance is rewarded), race winner Evans is in the lead ahead of Lotterer and Stoffel Vandoorne (3rd place in Rome, HWA RACELAB), but the rankings in the ABB Formula E Championship as a whole remain highly dramatic: a mere 13 points separate Jerome D’Ambrosio in first place and Edoardo Mortara (VENTURI Formula E Team) in ninth! An E-Prix winner is awarded 25 points, with the subsequent placings receiving 18 – 15 – 12 – 10, and then 8/6/4/2/1 points. A pole position gets three points, and the fastest lap one point. This shows just how tightly contested this championship is. As the winner of the first of the five voestalpine European Races, Mitch Evans was permitted to shortly touch and lift up the 3D-printed voestalpine trophy. But only the driver with the best podium placings from all five European competitions will win the trophy and will be allowed to take it home. The countdown for the next race has started–in Paris, home of current title-holder Jean-Eric Vergne. Race day is April 27, 2019. Season five of the ABB FIA Formula E Championship begins its European tour, and with it the start of the “voestalpine European Races”. The premiere of this race series hits the streets in Rome, on Saturday, April 13. Motorsport-mad Italians may not have a true “local hero”– a driver with an Italian team–competing around the 21 turns per lap on the Circuito Cittadino dell'EUR, but there are still Italians in the game. The Circuito Cittadino dell’EUR is located in the south of the city and has 21 turns. At 2.87 km in length, this is one of the longest circuits in the calendar. In 2018 around 45,000 people packed the stands to watch the first Formula E race held in Italy. The drivers start at the Piazza G. Marconi before going into a 180° hairpin. 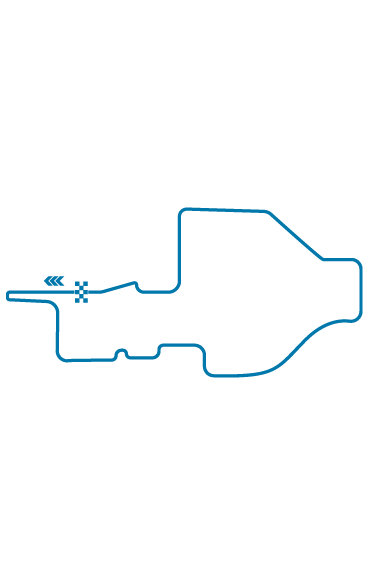 After a right/left combination followed by a short straight, there comes a long-drawn-out left, a double left passage, and then another long straight which is perfect for overtaking. After another left bend and a small chicane, the drivers head back to the start/finishing line. The pit lane runs alongside the Palazzo dei Congressi. Top speed on the circuit: this season will probably around 200 km/h. To date no Italian has succeeded in winning an E-Prix. And nor will there be a local driver competing this season. But thanks to his father, driver Edoardo Mortara (VENTURI Formula E Team) who drives for Switzerland and lives in Geneva also has Italian citizenship. And although his team-mate Felipe Massa is Brazilian, his grandparents have their origins in Cerignola, Apulia. And, particularly relevant for the Italians, he has driven 139 Formula One Grand Prix races for Ferrari, winning 11 times. 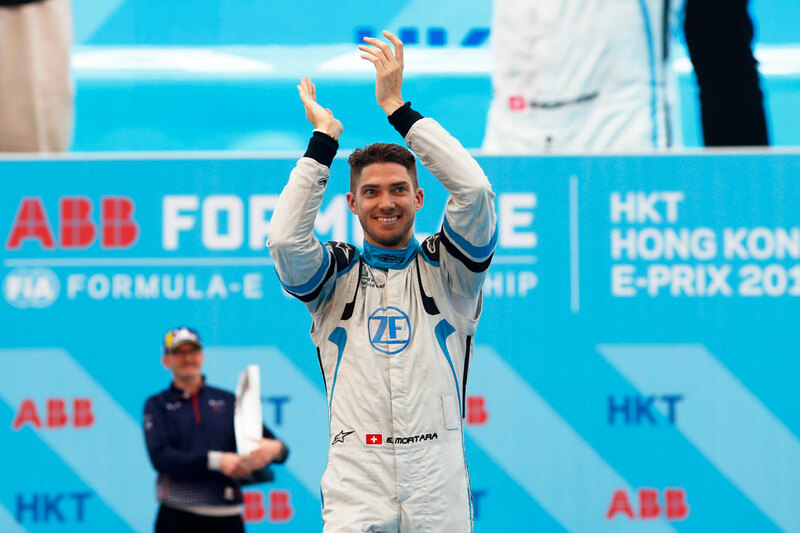 Edoardo Mortara, the winner of the E-Prix in Hong Kong, is a unique example of a global citizen who embodies the spirit of the “voestalpine European Races” like no other. For in certain respects every (!) race offers a “home advantage” for the 32-year-old who lives in Geneva and has successfully graduated in Business Administration: Mortara holds Italian and Swiss citizenship, formerly carried a French passport, his team is based in Monte Carlo, and he has recently spent seven years “working” in Germany as a test driver for Audi and Mercedes in the DTM. In an interview Mortara speaks about the rise of the Monegasque team, and why it’s often better to have big problems rather than small ones. Your victory in Hong Kong was proof that in Formula E it’s not just the large works teams that can win. How proud does it make you when your small team beats the big boys? Edoardo Mortara: Very! Because it’s all about the quality of the people involved. And we’ve put together an excellent team. They all do an outstanding job. You should see how they work! Sometimes they go home at midnight, and are back again at six in the morning. They often work at weekends and put in extra hours. Without moaning or complaining. These people are simply great, and that’s simply inspiring! And the successes naturally spur you on all the more. That’s what I enjoy. Although the season start was a difficult one for your team. We’ve made significant enhancements to our car. We correctly analyzed and understood the problems we had in the first two races. And they were major. But you know, it’s much easier to solve big problems than small ones. When they’re small, it’s often the fine adjustments which have you tearing your hair out. But the bigger your problems, the bigger the steps you can take. Testing showed us that we’d put together a very respectable package. For me, our car certainly ranks among the top 10. And when we have a really good weekend and the others make mistakes, then there’s a place for us on the podium. Or for even more, as we demonstrated in Hong Kong. You have something that’s sadly rare in motorsport–a female boss: Susie Wolff. When Susie came, she immediately organized the structure of the entire team very well. She also displayed her feeling for the sport by getting absolute key figures on board for this Venturi project. She only arrived last year, and everyone can see the successes we’re now enjoying. I can only thank her, she’s made everyone better, and she keeps on pushing. You can see that she really deserves this job. She does it brilliantly, and I’m delighted for her! Now we come to the “voestalpine European Races”. Almost a home tour for you. (laughs). That’s true. I practically embody these European races! Rome is very close to my heart, and my father is Italian. I used to be French, I’m also Swiss, the team comes from Monaco, and I know Germany very well. I’m simply a true European. And you’ve already had one home race this year, even before the series returned to Europe. Yes, that’s right! My wife comes from Chile. That’s why Santiago was very special for me. It feels like home. Season five of the ABB FIA Formula E Championship is returning home to the continent in which motorsport has its roots: to Europe. And for at least the 22 drivers in the championship, this is the start of a journey involving a very special challenge and a highly attractive goal. The races being held in Rome, Paris, Monaco, Berlin, and Bern will be referred to for the first time as the “voestalpine European Races”. Five races in five of Europe’s most beautiful cities. At the last European race on June 22, the driver who has achieved the most podium finishes from the “voestalpine European Races” will win a special and coveted trophy, which was presented in Vienna on April 4, made by voestalpine using 3D printing technology and is the only one of its kind in the world. So what do you need to know about the five races? Here the most important facts. 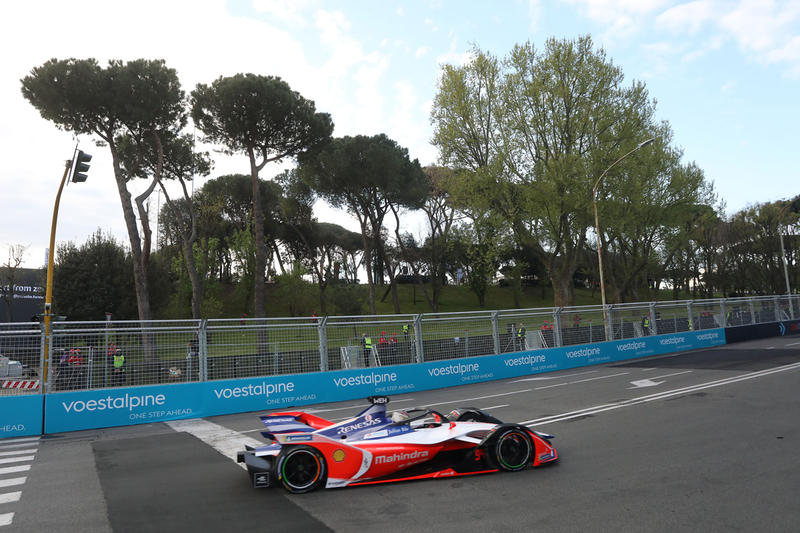 The future begins in the “Eternal City.” This is the host city for the first ever “voestalpine European Race,” run on the Circuito Cittadino dell’EUR. The circuit is located in the south of the city and has 21 turns. At 2.87 km in length, this is one of the longest circuits in the calendar. 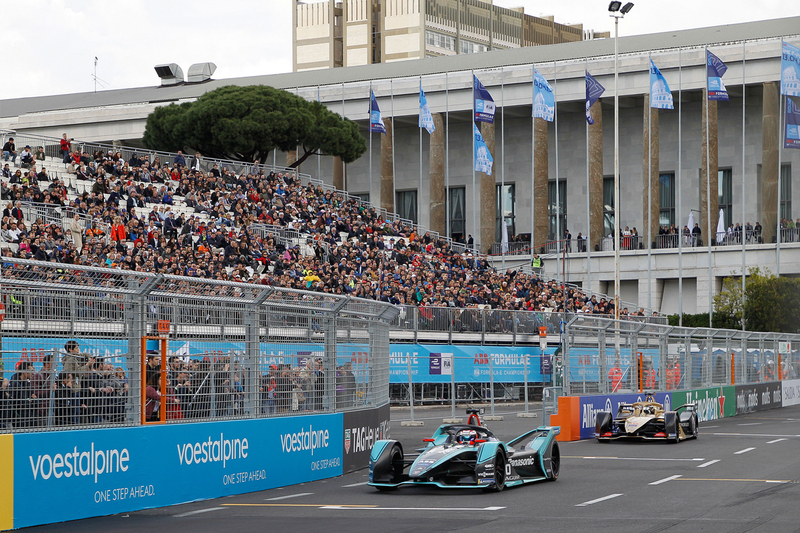 In 2018, around 45,000 people packed the stands to watch the first Formula E race held in Italy. The Winner: Sam Bird. This year, too, the area around the Piazza Guglielmo Marconi offers the “dolce vita” for motorsport fans. And even though no race to date has been followed by a podium ceremony featuring the Italian national anthem, two of the drivers are local heroes. The first is Edoardo Mortara. Racing for the VENTURI Formula E Team, Mortara may have a Swiss driving license, but he’s an Italian citizen, just like his father. And his team-mate, Brazilian Felipe Massa, can also be sure of support from the Roman fans: for many years he drove for Ferrari, and looks to debut in Rome for the first time with Formula E.
Paris is the home town of the reigning “king” of the ABB FIA Formula E Championship. Jean-Éric Vergne, the current champion and simultaneously winner of the last race in Sanya, China, also won his home race last year. “Emotionally, it was by far the best success of my career,” the DS TECHEETAH driver explained. He, like many others, regards Paris as one of the highlights of the season: “You can even see the Eiffel Tower from the circuit!” Formula E comes to France’s capital for the fourth time, to the Circuit des Invalides which, at 1.9 km, is one of the shortest in the race calendar. Tom Dillmann is the second Frenchman at the start, but it’s also a home race for Vergne’s team: starting this season, DS Automobiles, the only manufacturer based in France, who produces the powertrain for the team. Another calendar highlight. Every alternate season Formula E comes back to the principality on a shortened version of the traditional circuit. This year, it’s the venue for the third of the “voestalpine European Races.” With a length of 1.76 km and 12 turns, Monaco is the shortest circuit in the 2018/19 calendar. After the first turn at Sainte-Dévote, the 22 Formula E cars turn and head directly to the harbour, rather than climbing uphill towards the casino at Monte Carlo. The famous Rascasse corner takes them past the swimming pool before returning to the start/finishing straight. The home team, VENTURI, is based in Monaco and successfully led by Austro-Scott Susie Wolff. They enjoyed their first win of the season in Hong Kong. To date, however, the races in Monaco have been a purely Swiss affair, with Sébastien Buemi winning both in 2015 and 2017. This year he’s driving for the Nissan e.dams team. To date the German capital has featured in every Formula E calendar. This year’s “voestalpine European Race” in Berlin is being held on the grounds of the former Tempelhof airport. The 2.377 km circuit has 10 turns and is regarded as technically demanding. The anti-slip surface on the airport apron is particularly hard on the tyres. But the long and fast straights offer the drivers the chance to let their Gen2 cars truly test their pace. This year’s E-Prix in Berlin will also be a show performance by the German automotive industry, with the four major German premium marques, Audi, BMW, Mercedes, and Porsche, all taking part in the championship from next season. There is also a strong local showing on the grid, with Pascal Wehrlein, André Lotterer, and last seasons’s winner Daniel Abt on the starting line. The final E-Prix of the “voestalpine European Races”! The Swiss capital hosts the Formula E race cars for the very first time. 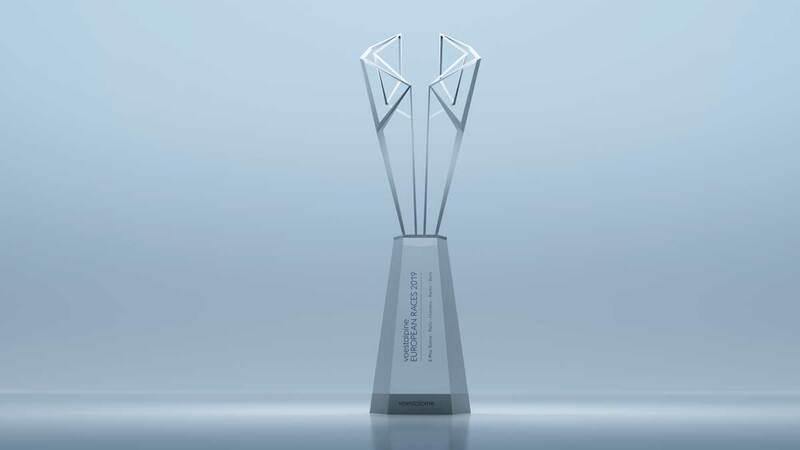 There we’ll find out who’ll take home the coveted trophy, manufactured using voestalpine 3D printing technology, which goes to the driver who has the most podium finishes. The 2.688 km-long circuit with 14 turns includes sharp inclines and descents, giving another added challenge to the Formula E grid. Combined with chicanes and hairpin bends, this city circuit guarantees plenty of action. There are also Swiss drivers at the wheel: Sébastien Buemi and Edoardo Mortara represent the Swiss Confederation, and you can be sure that both will be fighting through to this race in order to take home the “voestalpine European Races” trophy. Their prospects are good. 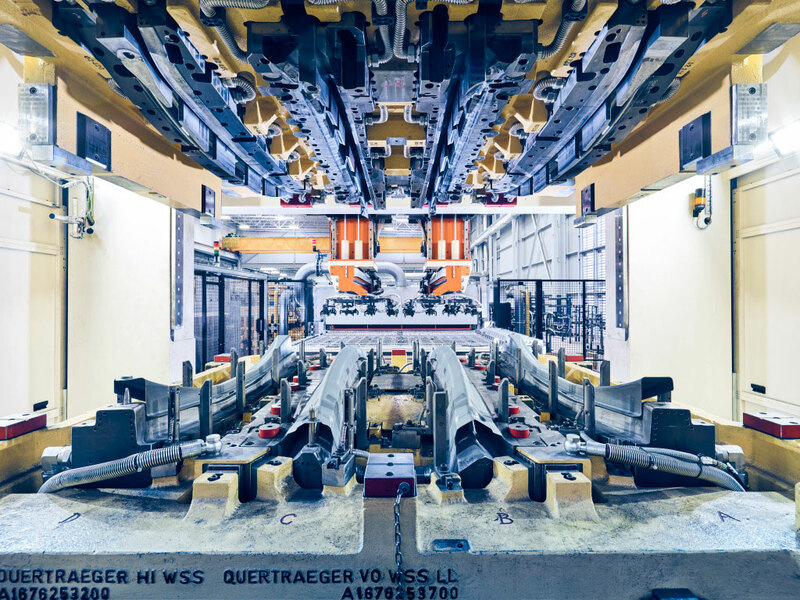 Making vehicles lighter and safer–lightweight automotive construction remains a trend, also in electromobility. 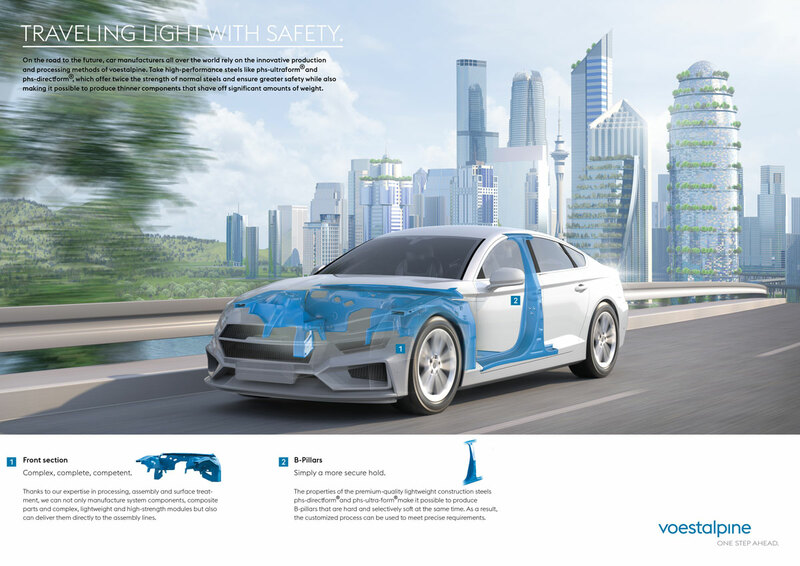 With its expertise in developing ultra-high-strength steels, together with its innovative hot forming technologies, voestalpine is excellently equipped for the future of e-mobility. Cars need to be lighter. This reduces fuel consumption, and consequently CO2 emissions. While combustion engines dominate automotive drives, this is an irrefutable fact. But does it remain the case in the age of electromobility and lightweight construction? Electric vehicles differ from conventional fossil-fuel driven cars, starting from their construction. They require a subtle balance between net weight and power. One reason for this is recuperation, an effect that electric vehicles and hybrids use to generate electricity from the energy released during braking in order to recharge their batteries. Recuperation is less effective in lighter vehicles. Consequently, using “moderate lightweight construction”, engineers balance considerations of vehicle weight against the overall energy balance. Lighter vehicles generate less power from recuperation; however, they also require less energy to move from the outset than do heavyweight cars under the same conditions. "Some calculations show that due to recuperation, energy consumption in e-vehicles is no longer so strongly linked to vehicle weight. Although that’s certainly correct, it’s only one aspect, because weight isn’t just a factor in the vehicle drive—it also has a decisive impact on driving behavior, stresses on the chassis, etc. Lightweight construction will continue to be an important issue, also for electric vehicles!" But what is lightweight construction? At its focus is the quantity of energy required to generate movement, and the efficiency with which chemical energy (diesel, gasoline, natural gas) or electrical energy is transformed into movement. The goal is to cover longer distances using the same amount of energy, and here weight plays an important role. For that reason, all manufacturers subject their car models to a diet of lightweight materials, processes, and forms. To date a huge variety of steps have been taken to achieve this end, involving the use of magnesium, aluminum, and CFK (carbon-fiber-reinforced plastics), for example. This has been a huge expense for the automotive industry, since, according to the study “The role of steel in electromobility” carried out by the Handelsblatt Research Institute on behalf of voestalpine (HRI study), the costs of reducing the vehicle weight are five times higher with aluminum and a whopping twelve times higher with carbon than when steel is the mainly used. 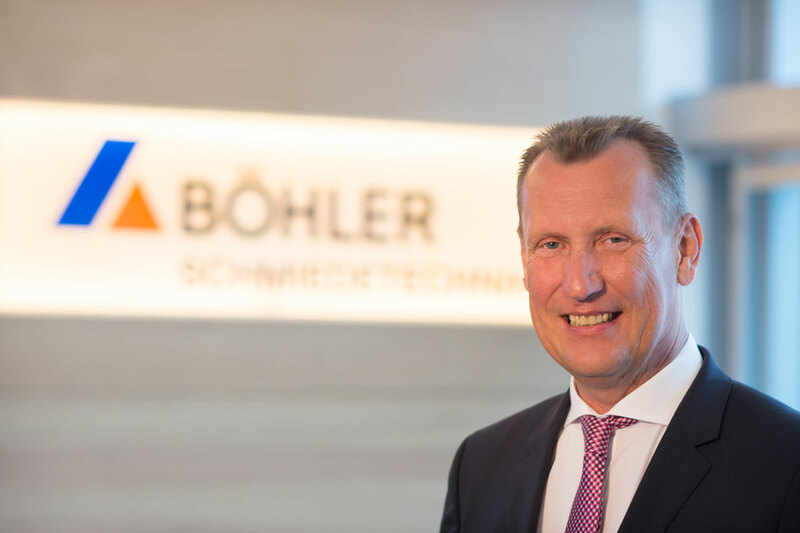 “Five or ten years ago a lot of money was invested in all forms of lightweight construction,” recalls Enno Arenholz, Head of Preliminary Research/Technology/Innovation at voestalpine Stahl GmbH. Today, the focus is on “affordable lightweight construction”. And while we’re on the subject of costs: By far the most economical and—from the life cycle assessment point of view—most sustainable lightweight construction option is “high-strength and ultra-high-strength steels”. The lower vehicle weights realized with lightweight construction mean manufacturers can reduce the size of the batteries required. As the HRI study confirms, the batteries are the main reason for the comparatively high prices of battery-powered electric vehicles—they account for around 30 to 50 percent of the costs. The formula is simple: You need less energy to drive a lighter vehicle the same distance. Lower battery costs means lower overall manufacturing costs. The HRI study assumes that the proportion of medium- and high-strength steels will rise from the current 18 percent to just under 30 percent compared to conventional steel grades. Lightweight solutions could play a new key role in e-mobility. For example, in housing and securing the batteries of electric cars. Here, steel battery boxes could compete with pure aluminum solutions in terms of crash performance, economy and life cycle assessment (LCA). Battery casings are a new field of activity for European material manufacturers. Consequently, lightweight construction for electromobility applications requires novel and complex approaches comprising a combination of material, technology, and construction. 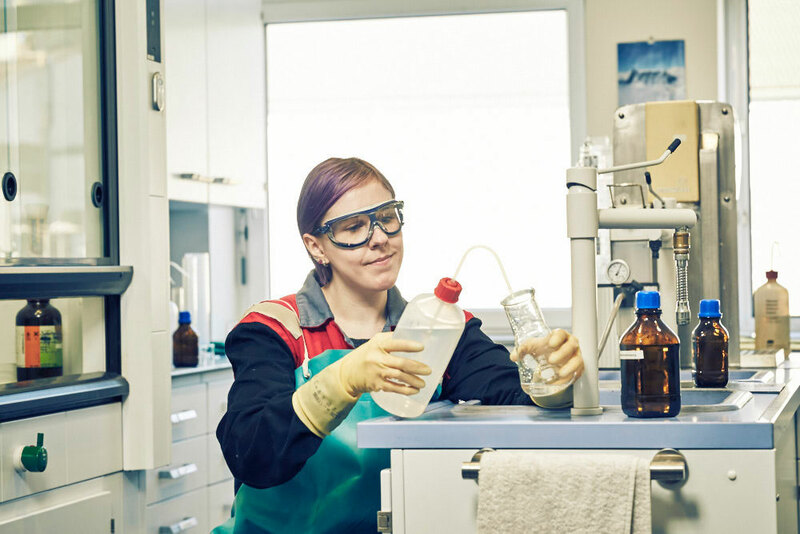 These are approaches which voestalpine companies have been consistently taking for years. On the one hand in developing ultra-high-strength steels, and on the other with innovative hot forming technologies such as phs-ultraform® and phs-directform®. The Group also already supplies extremely lightweight and secure components for battery casings. Why do car manufacturers race? The usual short answer is: “Win on Sunday, sell on Monday.” That is not necessarily the case with all racing series. Formula E has turned out to be the most important development lab for putting tomorrow’s technologies on the road. There is a bigger picture, but we need to take a few steps back to see it. Back to the horse, to be precise. In the early days, car races were mainly endurance races, where just making it to the finish line was considered a victory. The car had animal competition—at that time, the car had to prove that it could get its passengers to their destination as reliably as a horse and carriage. And that wasn’t a foregone conclusion. Mountain racing was a special discipline, where the challenge was not only to climb up to the highest point, but also to make it back down in one piece. And as the old carriage was part of the brake technology, this required even greater efforts. From motorsport to series production? Motorsport made a career as a public attraction, with the synergetic side effect that the extreme racing stresses provided valuable information for series production. This faded into the background the more racing technology matured. Formula 1 has not output anything that could be used in series production for quite some time. This technology is far too expensive for regular cars and doesn’t give them hardly any useful advantages. We come back to the same place again. Formula E is a highly up-to-date experimental field in which everything revolves around the essentials: the drive and storing electrical energy. With an increase in battery capacity to 54 kWh, the new Gen2 cars can complete an entire race this season on just one battery charge. The technical challenge is fast and efficient discharging and charging of the batteries, i.e. drawing energy—we can just call it stepping on the gas—and energy recovery during deceleration. Balancing this interaction and keeping the batteries in good form (e.g. through thermal management) under difficult conditions (vibration, heat) is also decisive for efficiency on the road and ultimately for the range. All Formula E racing cars have the same chassis and battery, but the teams have quite a bit of leeway in other areas, including the drive train, the brake-by-wire system, transmission, drive shafts, the load-bearing structure and chassis parts on the rear axle, as well as the cooling system and control unit. If you want to get involved in the future of e-mobility, it is crucial to be involved in this fast-paced racing development lab. The commitment of the major car manufacturers speaks for itself. Audi Sport ABT Schaeffler, BMW i Andretti Motosport, DS Techeetah, Nissan e.dams, NIO Formula E team and, starting next season, Mercedes and Porsche, are all represented in the ambitious motorsport series. Jaguar even has its own racing series as a supporting program. This means that at the end of 2019, eleven manufacturers will be on the starting line. Among the Formula E technology partners, you will find familiar names such as McLaren, Dallara, Pankl, and Williams. 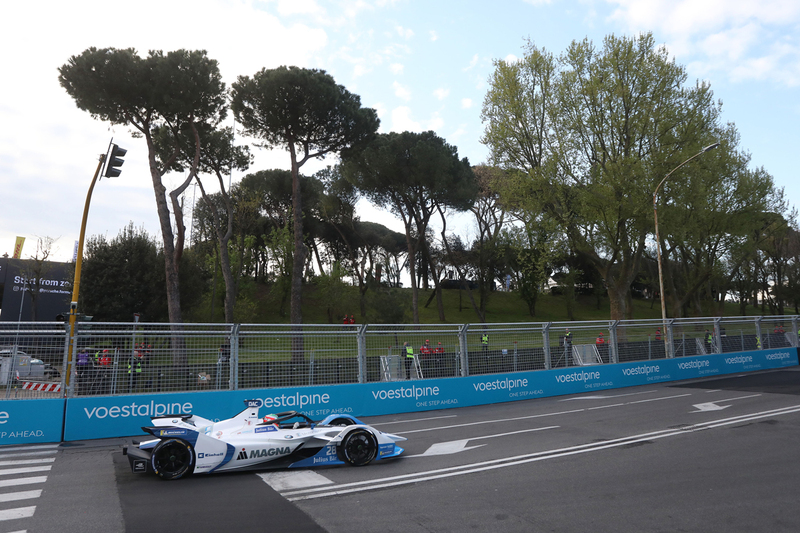 Since the 2018/19 season, voestalpine has also been a partner of the world’s first fully-electric street racing series and the main sponsor of the European races. For voestalpine, the dynamically growing branch of electromobility is an important growth field, and together with Formel E, the goal is to further develop electromobility and promote technology transfer between automotive suppliers, manufacturers, and users. From when it started on December 15, 2018, and until after the race weekend in Sanya, Formula E has had as many different winners as the Formula 1 winning teams have had since May 13, 2012 (GP Spain) and the Formula 1 drive manufacturers have had since August 6, 2006 (GP Hungary), i.e. over the past 13 years all together. "I tried to overtake him for a very long time. But never in a particular place that I had my eye on. I only tried it there when I had the feeling that it would work. I guess I surprised him." 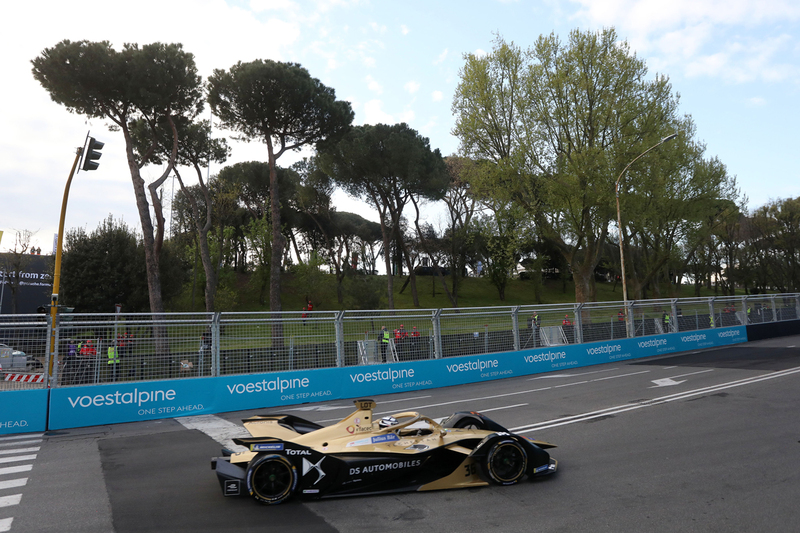 The success of JEV, as everyone calls him, is a very special success for DS Techeetah, and not only because it was achieved at home: it is the first success achieved together with new partner DS Automobiles and its drives. Team boss Mark Preston is relieved: “This victory was long overdue.” Also because Vergne’s teammate André Lotterer, who had been leading in Hong Kong, was “eliminated” by Sam Bird. A glance at the ABB FIA Formula E Championship results will make fans all around the world rave. And shiver with excitement. After six of 13 races, i.e. right before the halftime race, both the driver and team championships are incredibly competitive. Among the drivers, António Félix da Costa (BMW i Andretti Motorsport) leads with 62 points ahead of Jérôme D’Ambrosio (Envision Virgin Racing, 61). And close behind: 3rd Bird (Envision Virgin Racing) 54, 4th Vergne (DS Techeetah) 54, 5th di Grassi (Audi Sport ABT Schaeffler) 52, 6th Mortara (Venturi Formula E Team) 52, 7th Abt (Audi Sport ABT Schaeffler) 44, 8th Frijns (Envision Virgin Racing) 43, 9th Lotterer (DS Techeetah) 41. Eleven drivers could theoretically take the lead in the championship after the next race in Rome—exactly 50 percent of all participants. The team championship is even tighter: 1st Virgin 97, 2nd Mahindra Racing 97, 3th Audi 96, 4th DS Techeetah 95. A unique performance density in racing. One might have thought that there was a secret reset button for driver souls in the beautiful beach town of Sanya. Because the drivers who had the most reason to rejoice were the two drivers who at the beginning of the season and after the first race were considered the top favorites for the championship: Vergne, and BMW driver António Félix da Costa. Following a few disappointments after becoming the first leader of the season with his victory in Saudi Arabia, the Portuguese driver regained his championship lead with a third place showing. In Vienna on April 4, 2019 , the trophy will be official presented at a press conference. 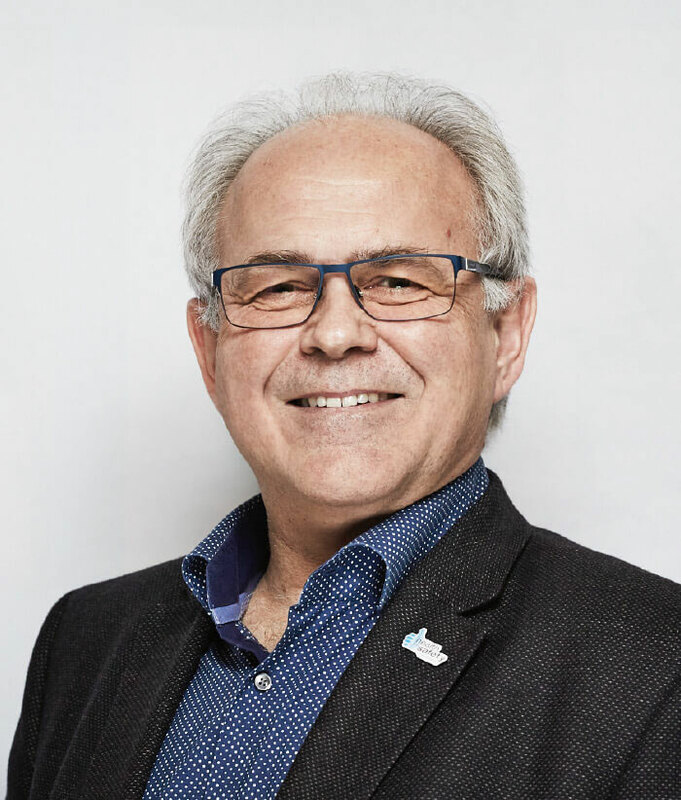 Chief Health & Safety Officer, Franz Gleiss, and the Health and Safety Committee succeeded within three years to lower the frequency of accidents in the voestalpine Group by 30% with the help of a comprehensive program. Better safe than sorry. 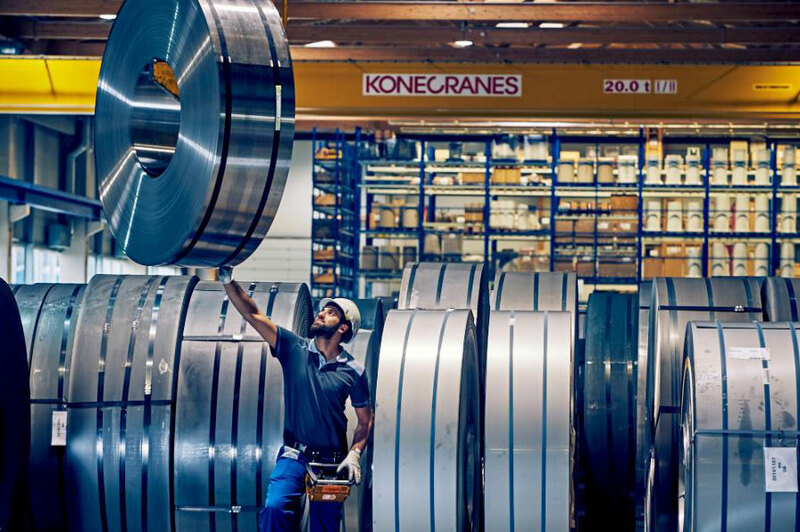 And it is certain that much can be achieved en route both if you have a firm goal and the requisite determination—just like voestalpine, which has done a lot in recent years to make work in its facilities around the world even safer. With impressive results, as Franz Gleiss, the Group’s Chief Health & Safety Officer, is happy to emphasize: the accident frequency rate at voestalpine has dropped by 30% since the business year 2015/2016. The index that Franz Gleiss and the Health & Safety Committee (Michael Tischler, Michael Ebner, Isabel Lamplmayr, Markus Müller, and Klaus Haidinger) have in mind in this connection is the so-called “Lost Time Injury Frequency Rate.” It shows how many accidents occur per one million hours of work. While there were 16.1 accidents per million working hours three years ago, statistically speaking, the rate has declined to 11.3 accidents. And there is a surprise as far as the geographic distribution of accidents is concerned. The accident frequency rate in supposedly over-regulated and overly security-minded Europe is slightly higher than in Asia and the two Americas. "but it is integral to the issue. Safety arises from a combination of safety leadership, everybody’s commitment to a safe working environment, and a safety culture that works—even when no executive or safety expert is watching." The executives model leadership in all matters related to safety, for example, when they along with a safety expert regularly conduct a so-called “Safety Walkthrough” in the given facility to assess the extent to which actual workplace practices comply with safety regulations: Is the work accomplished without any instances of negligence? Do employees wear their personal protective gear? Does working at heights involve straps and cable safety devices? Members of the Management Board must carry out these inspections once a year, managing directors once every quarter. Everything started back in October 2015 when a Group-wide safety project was launched across all divisions and companies. Since then, all units have been submitting standardized safety indicators on a monthly basis, thus competing for the best values. The Group’s safety webtools can also be used to determine how one’s own unit is doing with respect to safety compared with all others. Furthermore, an interactive self-review regarding safety issues can be used to carry out a status check and obtain an action plan based thereon. No meeting of the safety committee in individual Group companies takes place absent such safety status updates, because “Health & Safety” is a binding and fixed agenda item. 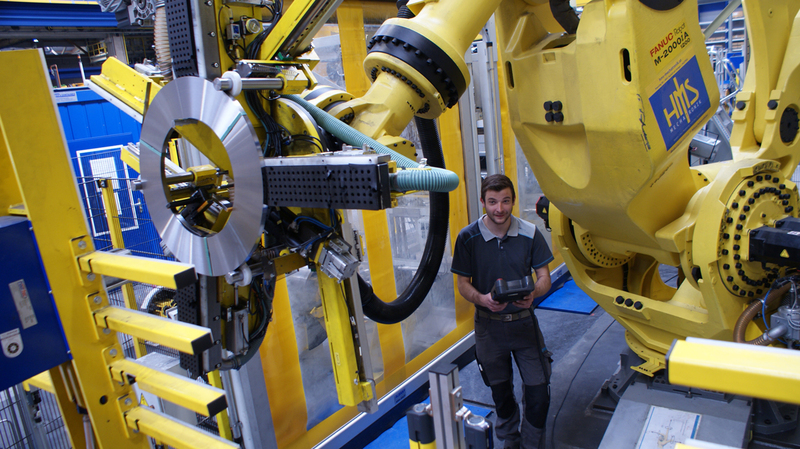 “This helped to initiate a lot of activities on the shop floor,” Franz Gleiss explains. The annual cross-company meeting of the safety experts within the Group ensures that everybody hears about effective new safety measures in individual facilities. 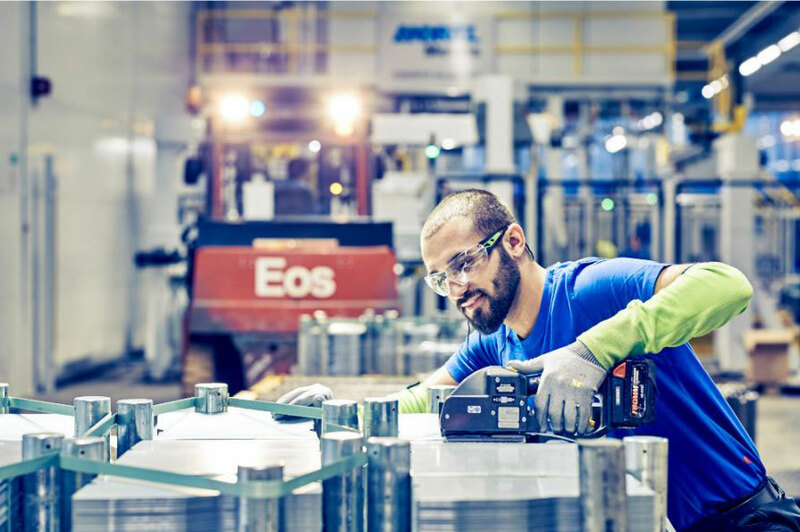 It is precisely such exchanges about accident reduction methods and processes that have given rise to the currently applicable safety standards and regulations within voestalpine. This also includes the obligation to report near misses and to prevent them from re-occurring by taking appropriate action. An annual safety award is given for the best safety measure in every division. And as far as celebrating safety is concerned, Nortrak, a US-company, even takes it a step further: an accident-free year in a plant is celebrated with a barbecue for all employees!